Is Max Payne 3 animation studio working on Grand Theft Auto V? For as successful as Rockstar Games is, it’s a tumultuous company to work for. Even hits like Red Dead Redemption haven’t been able to keep their respective studios totally secure. In the past few years it’s been more common to hear about studio consolidation and layoffs in the wake of Rockstar releases, so it’s happy news for the employees of Technicolor that it will now be a game and art team for the company. 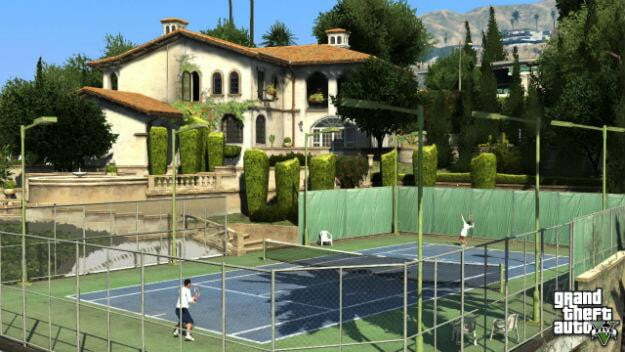 Could it be working on Grand Theft Auto 5? A CG animation studio working in everything from advertising to video games, Technicolor produced animation for a number of Rockstar games, including this year’s Max Payne 3, Red Dead Redemption, and L.A. Noire. Now the company has entered into an agreement that will strengthen its ties with Rockstar, and upping its status in the game industry. Max Payne 3 failed to light up sales charts when it released in May, failing to live up to the performance of LA Noire and Red Dead Redemption in the same month the two previous years. It sold just 440,000 copies in May, compared to Noire’s 899,000 copies during the same period, and Red Dead Redemption’s 1.5 million copies. In the wake of Payne’s disappointing performance, its studio, Rockstar Vancouver, was shut down and consolidated into a new operation, Rockstar Toronto. Success wouldn’t have necessarily kept Rockstar Vancouver operating as an independent entity though. Even as LA Noire sold well for Rockstar and its parent company Take-Two Interactive, its creator Team Bondi was shut down not four months after its release. That was after Rockstar had already severed ties with the studio in July 2011. Red Dead Redemption studio Rockstar San Diego was no more secure. It was hit with significant layoffs just two months after that game’s huge debut in 2010. What might Technicolor be working on for Rockstar? Unknown. Rockstar’s next big release is Grand Theft Auto V, widely expected to be out in April 2013. It’s believed that Rockstar North has already completed the majority of the game though, so Technicolor may very well be working on a different project entirely.